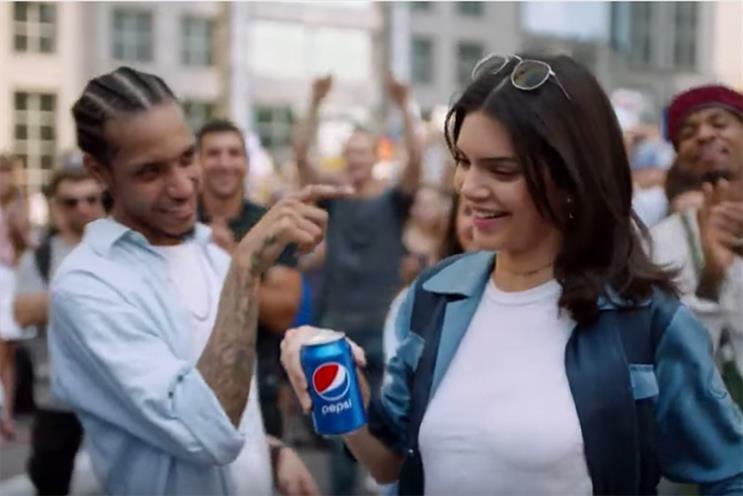 One day after debuting a wildly controversial ad featuring Kendall Jenner brokering peace between protestors and cops with a can of soda, Pepsi apologized for the spot and removed it from the internet. "Pepsi was trying to project a global message of unity, peace and understanding," the company said in a statement. "Clearly we missed the mark, and we apologize. We did not intend to make light of any serious issue. We are removing the content and halting any further rollout. We also apologize for putting Kendall Jenner in this position." The ad, created by Pepsi’s in-house agency, the Creators League Studio, sparked massive and instant outrage when it appeared online on Tuesday. With its images of smiling protestors, multi-ethnic artists and a white reality TV star who saves the day, the ad struck critics as a lazy attempt to co-opt recent protest movements such as Black Lives Matter and the Women’s March on Washington. To many in the ad industry, it served as a cautionary tale for not having enough diversity on your creative team, or attempting to create your ads entirely in-house. Seems the tone-deaf Pepsi ad was created by an in-house team/studio. Would an ad agency's involvement have kept it from being made/airing? The first sign that the brand was backing away from the ad came when Brad Jakeman, president of Global Beverage Group at PepsiCo, deleted a Tweet he had sent on Tuesday afternoon saying he was proud of the spot. The backlash had apparently become too much for the brand by 1:30 on Wednesday, when it released its statement and pulled the ad off YouTube. The spot continues to live online, however, thanks to the many other people who posted it over the past 24 hours.